In the evening of the 17th of December 1996, hundreds of senior diplomats, government ministers and other VIPs were attending a party at the official residence of Japan’s ambassador to Peru, Morihisha Aoki, in celebration of Emperor Akihito’s 63rd birthday. As the party was under way, 14 terrorists belonging to the leftist Túpac Amaru Revolutionary Movement (MRTA) penetrated the surrounding walls to capture the residence, commonly referred to as the embassy, and take the attendees hostage. Demanding the release of their captured comrades the Government of Alberto Fujimori refused, instead initiating a plan that would become one of the world’s most successful hostage rescues. The actions of President Fujimori, some of which he is now being tried for in court, generally ended the wave of maoist terror that had swept the country in the decade before, killing as many as 70,000 people. Even the economy was back on track. So it was when the MRTA seized the Japanese “embassy” it was a major set-back, and the Peruvian people were outraged. The demands were simple, the Peruvian Government was to release all captured terrorist members from jail and reverse the recent economic reforms. On the 22nd of December in his first public broadcast, Fujimori flatly refused to release anybody, calling the MRTA a repugnant organisation. He indicated that unless all hostages were released he would not be able to rule out a military solution. But negotiations came first, and this saw the terrorists over the coming month release hundreds of hostages, including leftist politician Javier Diez Canseco, who went on the defend the MRTA’s actions, and Alejandro Toledo, who would go on to become President himself. Toledo declared that any military rescue would be madness. The Japanese had already heavily fortified the building with explosive-proof doors and walls making it easy to defend, while the terrorists themselves were armed to the teeth. 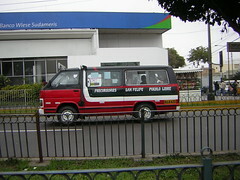 Fujimori created a negotiation team to find a peaceful solution, a team that included the country’s archbishop Juan Luis Cipriani, the Peruvian Red Cross and the Canadian ambassador. He even initiated talks with Cuba’s Fidel Castro, but by the 17th of January negotiations had broken down. As February progressed, there were whispers of a secret plan and the terrorists complained of loud noises coming from beneath the floors while the military pumped loud music into the building. As the weeks had passed, at a secret location in southern Lima an exact replica of the Japanese ambassador’s residence had been constructed. 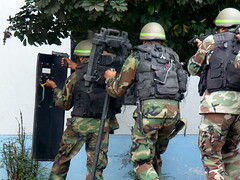 Practising for an assault on the MRTA were Peru’s elite commandos. Meanwhile, at the real location, preparations were being made. Over the course of weeks, cameras and microphones were being placed in key locations throughout the building by those hostages with military training, such as Navy Admiral Luis Giampietri. Brought in from the outside, these were hidden in water bottles, books and board games let in by the terrorists. 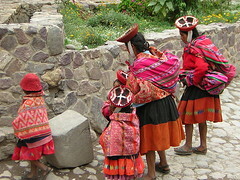 The hostages themselves were allowed to have clean clothes, and the clothes sent in the the Peruvian Government were all light-coloured, which would latter allow commandos to easily tell them apart from darkly clothed terrorists. Extensive tunnels were being dug from adjacent buildings, leading to several key points under the Japanese residence. The noise from these was great, and to cover it, load music was played from the outside of the building while tanks repeated rolled back and forward. Terrorist leader Néstor Cerpa did however hear the sound of digging, and suspicious of a forced entry attempt moved all the hostages to the second floor, inadvertently helping keep them out of harms way. On the 22nd of April, 1997 Operation Chavin de Huantar, named for the archaeological site with its extensive tunnels, got under way. From the tunnels, three explosions took place in three rooms on the first floor – one of these killed three terrorists who were playing football. As planned, the explosions opened up holes in the floor through which 30 commandos rushed into the building. Those terrorists on the first floor who had survived were killed as they tried to reach the stairs to the second floor. As these first explosions took place, 20 more commandos launched an assault on the front door to join the other 30 at the staircase not far away. Here, two female MRTA terrorists were on guard and were immediately killed. Behind this group of 20 came another group, carrying ladders. The rushed through the main door and out to the back of the build placing the ladders against the rear wall. Immediately afterwards, another group of commandos rushed out of tunnels that led into the rear garden and up the ladders placed seconds before. On the roof, they placed explosives at two key points and detonated them. Two holes were blown in the roof through which the commandos killed the remaining terrorists before they could execute the hostages. As smoke rose over the city of Lima, the press and the public outside watched in horror, unsure of what exactly was happening. Hostages were pulled out and down the side of the building, one of which was killed in the rescue, along with two commandos. None of the terrorists were taken alive. Fujimori had given orders to kill all 14 MRTA members, and it is said that those few who tried to surrender were executed, their bodies then hurriedly rushed out by military prosecutors and secretly buried. Official accounts seemed to differ substantially from witness testimonies that say at least 3 terrorists were captured alive before being reported dead. Regardless, the world’s military communities generally considered this one of the most successful hostage rescues in history, and the abilities of the commandos were widely praised. I was lucky enough recently to visit the Escuela de Comandos, Commando School, located in an army base in Chorrillos. It was here that the secret replica of the Japanese Residency was built, tunnels were dug and the rescue plan was practiced again and again until perfect. 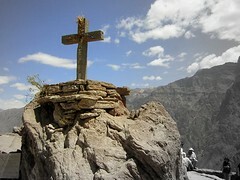 Today it is considered a monument to those who took part in the rescue, and is sometimes still used in training. The photos below are of Peruvian commandos carrying out a demonstration of the events that took place that day, some of the weapons captured from the terrorists and commandos at training on the adjacent training field. Enjoy.